Los Angeles (CNN) — Junior Seau’s family will let researchers study the former NFL linebacker’s brain for evidence of trauma, San Diego Chargers chaplain Shawn Mitchell said Friday. Since news broke that the former Chargers linebacker killed himself Wednesday with a gunshot to the chest, there has been speculation about whether repeated hits to his head over his 20-year pro career could have been a contributing factor. The San Diego County medical examiner’s office on Thursday classified Seau’s death as a suicide, but said a final autopsy report may take up to 90 days to complete. While there was no evidence Seau suffered from chronic traumatic encephalopathy (CTE), a degenerative disease brought on by multiple concussions, friends and family have stepped forward to say the legendary linebacker suffered a number of hits to the head during his career. As a linebacker, he played “the most havoc-ridden position on the team. He suffered many concussions, so there is a strong sense that it played a role,” Mitchell, a pastor and Seau family friend, said Thursday. Mitchell, who stood next to Seau’s grief-stricken mother as she faced a sea of cameras to discuss her son’s death, said the family had received calls from researchers asking to study his brain. “Him taking the shot to the chest makes sense that he would want his head examined,” he said. While Mitchell did not identify the researchers making the requests, among the institutions the family could donate Seau’s brain to is Boston University’s Center for the Study of Traumatic Encephalopathy, the research center that found former Chicago Bears safety Dave Duerson suffered degenerative damage to his brain because of repeated hits. Seau’s death follows last month’s suicide of former Atlanta Falcons safety Ray Easterling, the lead plantiff in a class action lawsuit against the NFL over concussion-related injuries. The lawsuit names more than 1,000 professional players. More than 100 former professional football players added their names Thursday to the growing list of people suing the NFL, saying it “repeatedly refuted the connection between concussions and brain injury,” according to the lawsuit filed in U.S. District Court in Atlanta by attorney Mike McGlamry. The NFL has repeatedly dismissed the allegations, saying player safety is a priority. “Any allegation that the NFL intentionally sought to mislead players has no merit,” it said. CNN’s chief medical correspondent, Dr. Sanjay Gupta, warned against drawing a conclusion in Seau’s case, though he said there were striking similarities between his death and other cases involving football players. The only way to determine if Seau suffered CTE is to analyze the brain tissue for “hallmarks of the dementia-like disease,” Gupta said. “We can’t know, unless Junior Seau’s” brain is analyzed in this way, whether his death was related to CTE, he said. “Junior had wanted to donate his brain to science to the study of concussive injuries,” he told CNN affiliate KGTV of San Diego. 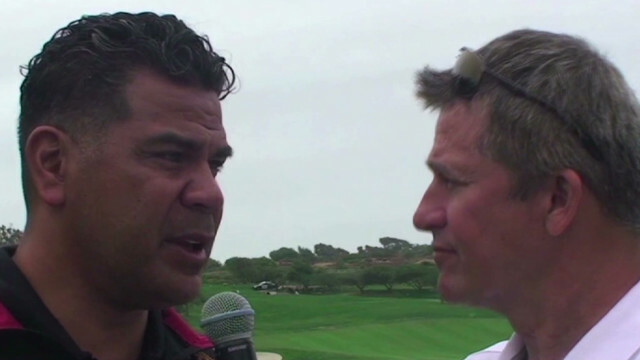 Tim Abell, an actor and veteran’s advocate who conducted what is believed to be Seau’s last interview on Monday at a charity golf tournament, said he saw no indication that Seau was suicidal. A Seau friend who was also at the tournament agreed. “He seemed to be in a very good mood, lighthearted,” David Biber said. Seau’s death rocked the Southern California city of San Diego, where he was a member of the 1994 Chargers — the only team in franchise history to make it to the Super Bowl. His reputation as a fierce tackler — with a heart of gold for his community work — earned him admiration and a legion of fans. It is not clear if Seau left a note or an explanation.